Are you facing problems with hair loss? 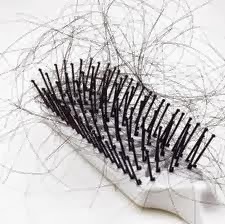 Here are simple home remedies that can prevent hair fall. A healthy hair gives us good appearance. Massage your scalp frequently in circular way. Its better to use natural oils like coconut oil or olive oil to massage your scalp. Heat the oil and warm it down and massage your scalp atleast once in a week. It stimulates your hair growth. Wash your hair three times a week and keep your scalp clean. Daily wash is better. In our routine life, we get expose to dust and sun. Regular wash of your hair keeps your scalp hygienic. Regularly use the same shampoo and conditioner. Always try to wash your hair with cold water. Don’t use hot water to wash your scalp while leads hair fall. Drinking plenty of water is good for hair. Daily having a good sleep of around 8 hours is good for hair. It avoids stress and make us feel relaxed which can avoid hair fall. The paste made with the mixture of neem leaves, amla and Shikakai is applied to the scalp and washed after 1 hour will clear dandruff. Another remedy is to soak fenugreek seeds in water overnight and make paste of it in the morning and apply to the scalp. Leave it for an hour and wash your hair. A half piece of lime squeezed in the final two cup of water to wash hair can clean dandruff completely. Take the white egg and mix it with the olive oil and apply on the scalp. Leave it for around 20 minutes and rinse your hair well with your shampoo. Egg white is good for regrowth of hair. Onion and garlic juice is also good for hair growth. Extract the juice and apply on the scalp for 20 minutes and wash your hair. Henna is best known for natural conditioner. Take the henna powder mix it with mustard oil and leave it on your scalp for 30-45 minutes and wash your hair. If fenugreek seeds are added to the mixture, it helps to avoid dandruff too. Henna can be used regularly for good hair. Avoid rubbing the dry hair or combing the wet hair. Both create more hair fall. Trim your hair regularly. Avoid stress and be relaxed and also avoid late sleep. Just follow these simple home remedies to have a healthy hair and avoid hair fall.